Why go? With its heli-pad, Michelin-starred restaurant, five-star accommodation and celebrity-owned houses, it’s no wonder the tiny fishing village of St Mawes has been dubbed the ‘Saint-Tropez of Cornwall’. If that makes you think of perma-tanned oligarchs in show-off cars, don’t worry – the steep winding lanes are impossible to get a Ferrari down. Best for: People who don’t like alarm clocks, maps and schedules. 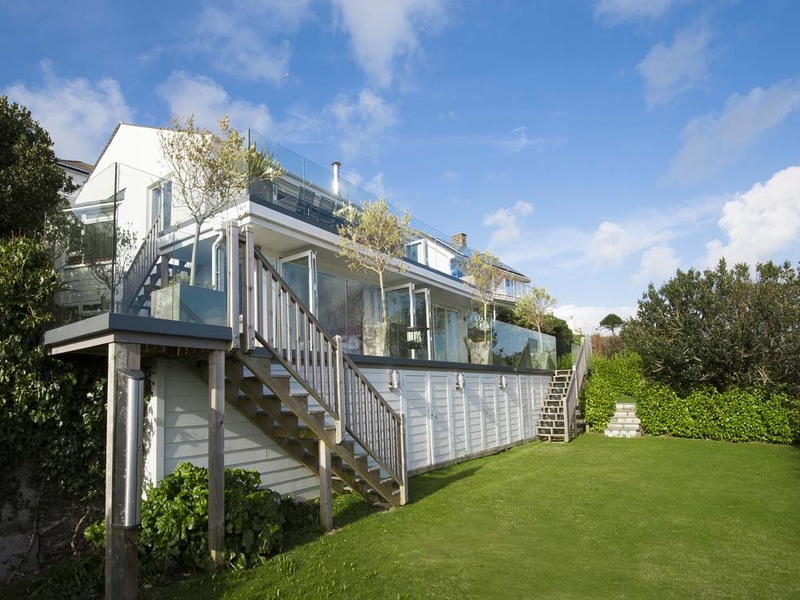 The look: St Mawes Retreats is a collection of five luxury self-catering properties sleeping from four to 12 guests. Once you’re over the doorstep at Dreamcatchers, a four-bedroom hillside residence in the village with contemporary interiors, you’ll hardly want to leave. It’s just like staying at a friend’s house – assuming that friend was super-chic and had taken care of every pampering detail. Owner Amanda Selby is a complete perfectionist – here two bathrooms come with roll-top baths, bedrooms have Hypnos beds (the Queen’s favourite brand), there are Designers Guild furnishings and fluffy robes with bath products by West Country-girl Cath Collins. The stunningly well-equipped kitchen is a cook’s paradise, and with the wealth of fabulous local Cornish produce you can easily indulge your Masterchef fantasies. I’m hungry: Many guests come here to celebrate something, such as a family birthday, and there’s some wonderful concierge services on offer. A quick phone call brings chef William Marsden of Pencoose Pantry (pencoosepantry.co.uk) to our door. While we all sip champagne and admire the magical view, William gets busy in the kitchen cooking up a superb dinner (from £35 a head) of the freshest local scallops and John Dory, finishing off with a decadent chocolate roulade and clotted cream. Nearby you’ll find Michelin-starred restaurant Driftwood (driftwoodhotel.co.uk) and the splendid terrace restaurant at Hotel Tresanton (tresanton.com). If you’re more in the mood for a local beer and fish & chips, the Victory Inn (victory-inn.co.uk) in the village is a two-minute walk away. Just down the coast at Portloe is The Lugger Hotel (bespokehotels.com/thelugger), ideal for delicious fresh mussels and a spot of walking on the cliff path afterwards, and try to catch the scrumptious Feast Nights at The Hidden Hut (hiddenhut.co.uk) on Porthcurnick Beach. While you’re there: Book a beauty therapist and enjoy heavenly treatments in your room – try the two-hour ‘Star’ luxury treatment (£120) with Sarah Greenhalgh (pressuresoflife.co.uk), which features a facial using Inlight organic skincare, a salt body scrub, and some reflexology. Sights close by include St Mawes Castle (english-heritage.org.uk) and the National Trust’s Trelissick Garden (nationaltrust.org.uk); you can get information on walks and boat trips from the St Mawes Tourist Information Centre in the village. Dress code: Nothing too glam – unless you’re planning to pop in to the Tresanton where a different A-list celebrity seems to dine each night in the summer. Generally you want shoes you can get sandy and something to keep the breeze off. Oh, and don’t even think of hiring or taking a big, posh car: the approach road to Dreamcatchers is very narrow, very steep and very winding. Anything much bigger than a hatchback is going to be more trouble than it’s worth. Bring home: Chic scarves, jewellery and candles from Onda (tresanton.com/onda), and Tregothnan tea (tregothnan.co.uk) – the only tea grown in the UK. 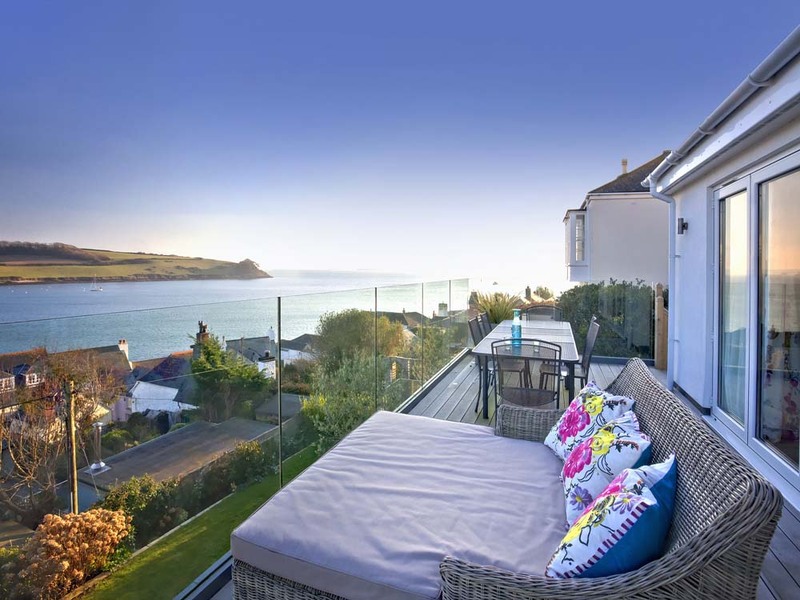 Book now: St Mawes Retreats (0800 0886 622; stmawesretreats.co.uk). Rental prices for Dreamcatchers, sleeping eight, vary from £1,675 for three nights in early June to £2,395 for a week in mid-September. A chef, boat charter, art teacher, outdoor activities, spa treatments and childcare can be arranged on request. The nearest main rail station is Truro, a 40 minute taxi ride away, or you can continue by branch line to Falmouth Docks then take the ferry. First Great Western (firstgreatwestern.co.uk) offer a sleeper service from London. 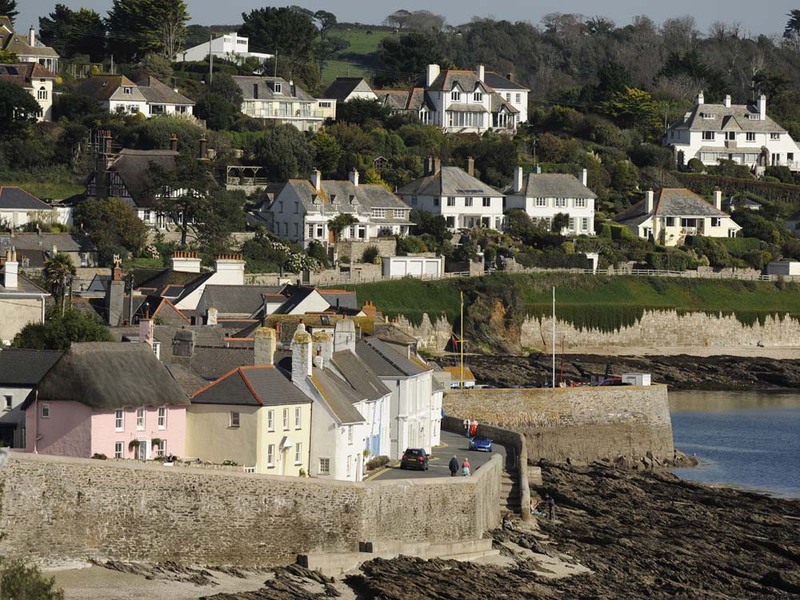 Info: Devon and Cornwall (£12.99; Rough Guides) covers the region in depth. Useful websites are visitcornwall.com, roselandpeninsula.com and stmawes.info.